ALBANY, NY - Denise O'Donnell resigned yesterday as Governor David A. Paterson's deputy secretary for public safety, saying she had been kept in the dark about the possible intervention of New York State Police personnel on behalf of a close aide to Mr. Paterson who had been accused of domestic violence. "I regret to inform you that recent events make it impossible for me, in good conscience, to remain a member of your Administration," Ms. O'Donnell, 62, wrote to the governor in a brief letter. "Please accept my resignation, effective immediately." 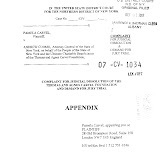 Ms. O'Donnell said in a statement that she had not known about the involvement of the state police, one of the agencies she supervised, until Wednesday night after The New York Times reported that the alleged domestic violence victim had complained that the troopers had harassed her in an effort to persuade her to drop her bid for an order of protection in Bronx Family Court against David W. Johnson, Mr. Paterson's aide. The Times also reported that Mr. Paterson had talked with the woman just before she was due to return to court for a final order. She did not show up for the scheduled appearance, and her request was dismissed without prejudice. "The fact that the governor and members of the State Police have acknowledged direct contact with a woman who had filed for an order of protection against a senior member of the governor's staff is a very serious matter," Ms. O'Donnell said in a statement. "These actions are unacceptable regardless of their intent." Ms. O'Donnell said that she had been informed in January by State Police Superintendent Harry Corbitt that a senior administrative aide had been involved months earlier in a violent incident with his girlfriend. However, she said that Mr. Corbitt had assured her the matter would be handled by local police and the state police would stay out of it. Ms. O'Donnell, a former U.S. attorney for the Western District and one-time candidate for state attorney general, said, "It is particularly distressing that this could happen in an administration that prides itself on its record of combating domestic violence. The behavior alleged here is the antithesis of what many of us have spent our entire careers working to build—a legal system that protects victims of domestic violence and brings offenders to justice." Mr. Paterson has denied any wrongdoing in the scandal. While he acknowledges that he talked to Mr. Johnson's girlfriend, he insisted that she had called him to reassure the governor that she was not the source of rumors about his private life, according to the Times. 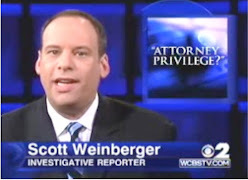 Lawrence B. Safler, the lawyer for the woman, whom the Associated Press identified as Sherruna Booker, 40, disputes both claims. He said she was called by an intermediary, who said the governor wanted to talk to her, which she did. Mr. Paterson suspended Mr. Johnson without pay and requested an investigation by the state police and Attorney General Andrew Cuomo, a probable rival in this year's campaign for governor. Mr. Cuomo issued a brief statement yesterday in which he said his office is "proceeding to determine if criminal or other wrongdoing is involved" in the matter. The New York Post reported on its blog that Mr. Cuomo had asked the state police to "stand down" from looking into the Johnson matter because of the agency's possible involvement. The state police said that it would not comment on any aspect of the investigation; Mr. Paterson's office had no immediate comment on Ms. O'Donnell's resignation. In an appearance earlier in the day on a New York City radio station, Mr. Paterson said he had turned the Johnson matter over to Mr. Cuomo and did not care to comment. Mr. Johnson, 37, started as an intern for Mr. Paterson when the future governor was a state senator. Mr. Johnson, who had risen to become one of the most senior and influential aides to the governor, was earning $132,000 a year as director of executive services when he was suspended. Ms. O'Donnell had steadily gathered titles and influence over law enforcement matters during her three-plus years within state government. Appointed by former Governor Eliot Spitzer as commissioner of Criminal Justice Services, she headed an agency that largely collected crime statistics, coordinated law enforcement efforts between agencies and helped apply for crime-fighting grants. 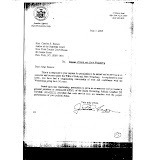 But in July 2007, Ms. O'Donnell was named by Mr. Spitzer as assistant secretary for criminal justice amid an earlier scandal in which then-state police superintendent Preston L. Felton was accused of using state police personnel to improperly compile the travel records of Mr. Spitzer's bitter political rival, Senator Joseph L. Bruno. 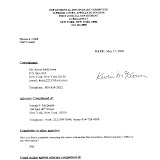 At that time, Mr. Spitzer said, "It is critical that we take immediate and direct action to restore public confidence in one of our most important government functions" by giving Ms. O'Donnell supervisory duties over the state police (NYLJ, July 26, 2007). Elevated to deputy secretary for public safety when Michael Balboni resigned in January 2009, Ms. O'Donnell also was given supervisory control over 13 other law enforcement and criminal justice agencies in addition to the state police. They included the Department of Correctional Services, the Division of Parole and the Office of Homeland Security. She also was called upon by Mr. Paterson for crisis management, helping direct the state's response to the February 2009 commuter airplane crash near Buffalo in which 50 people were killed, and the April 2009 shooting rampage at a Binghamton immigration center that left 14 dead. She headed several commissions or study groups, including the Commission on Sentencing Reform, which recommended simplifying the state's patchwork of criminal codes. She earned high marks from families of prison inmates for being willing to discuss with them face-to-face their frustrations at state parole board policies that seemed to consign some inmates to perpetually being denied their release by parole boards, despite their often excellent programming and rehabilitation records while behind bars. Ms. O'Donnell earned a salary of $165,000. She maintained her campaign committee following her unsuccessful run for the 2006 Democratic nomination for attorney general against Mr. Cuomo. 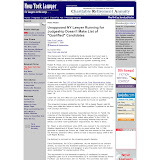 According to the fund's January 2010 filing with the state Board of Elections, Ms. O'Donnell had $346,650 in hand, well below other potential Democratic attorney general hopefuls who have said they would run if Mr. Cuomo takes on Mr. Paterson for governor (NYLJ, Jan. 19). Mr. Paterson brought Mr. Corbitt out of retirement in 2008 to fill the opening originally created by the retirement of Mr. Felton. 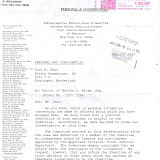 Mr. Felton was ultimately fined $10,000 by the state Commission on Public Integrity for violating Public Officers Law in allowing state police personnel to be used to discredit Mr. Bruno. Mr. Corbitt had been a 25-year veteran of the state police when he retired in 2004, working his way up from trooper to deputy superintendent. Most recently, he had been in charge of security at Albany High School. With Ms. O'Donnell's resignation, calls for Mr. Paterson to end his candidacy for a full term rose in volume. "That's a very serious blow," Senator Bill Perkins, a Democrat who represents the Harlem district Mr. Paterson once served as senator, said of Ms. O'Donnell's departure. "She has been loyal, so the Cabinet, so to speak, is falling apart." 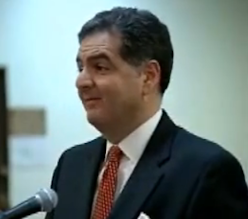 Mr. Paterson was lieutenant governor in March 2008 when Mr. Spitzer resigned amid a prostitution scandal. "What we are learning is unacceptable, and the viability of [Mr. Paterson's] candidacy is obviously crippling," Mr. Perkins told The Associated Press, calling the reports "very, very serious allegations." 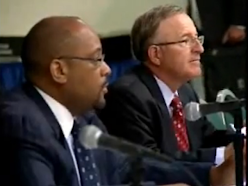 "I obviously am torn in terms of having to take the position I am taking," Mr. Perkins said. "I have known him for over 20 years." Representative Steve Israel, a fellow Democrat and longtime congressional member from Long Island, said it is time for friends to be straight with Mr. Paterson. "I think it's become apparent that he should not seek election and should announce it soon," Mr. Israel said. "And sometimes friends have to speak unpleasant truths." The fact that the Governor and members of the State Police have acknowledged direct contact with a woman who had filed for an order of protection against a senior member of the Governor's staff is a very serious matter. These actions are unacceptable regardless of their intent. It is particularly distressing that this could happen in an Administration that prides itself on its record of combating domestic violence. The behavior alleged here is the antithesis of what many of us have spent our entire careers working to build – a legal system that protects victims of domestic violence and brings offenders to justice.In early January, following a breakfast meeting on another subject, State Police Superintendent Harry Corbitt informed me that a senior Administration staff member had been involved in an incident months earlier where a Domestic Incident Report was filed. Superintendent Corbitt told me the staff member had an argument with his girlfriend, that a Domestic Incident Report had been filed, but that there was no arrest and that the matter was being handled as a local police matter by the New York Police Department. My immediate concern was what role the State Police would take in the investigation and I was assured by Superintendent Corbitt that the State Police were not involved. It was only last night when I learned from press reports the contrary details, including the involvement of the State Police. For these reasons, I am resigning my position as Commissioner of the Division of Criminal Justice Services and Deputy Secretary of Public Safety effective today. Joel Stashenko can be reached at jstashenko@alm.com. ALBANY, NY -- Five judges of the state's highest court said "the independence of the judiciary is improperly jeopardized by the current judicial pay crisis," and legislators should work to give them -- and all of the other judges in the state -- a raise as soon as possible. But the Court of Appeals ruling didn't force the Legislature to increase the pay of about 1,300 judges, and Senate and Assembly leaders don't seem to be in any hurry. 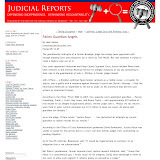 By ensuring that any judicial salary increases will be premised on their merits, this holding aims to strike the appropriate balance between preserving the independence of the Judiciary and avoiding encroachment on the budget-making authority of the Legislature," Associate Judge Eugene Pigott wrote in a 39-page decision. "Therefore, judicial compensation, when addressed by the Legislature in present and future budget deliberations, cannot depend on unrelated policy initiatives or legislative compensation adjustments." The court heard arguments last month on three cases that attempted to compel a raise for judges, whose pay has remained the same since 1998. The judges -- who would stand to have their own salaries increased -- heard the case out of "necessity." The majority agreed that a common practice in the budget process, tying judicial pay increases to legislative pay increases, does not pass constitutional muster. Judge Robert Smith dissented. The court stopped short of forcing a pay raise for itself, ruling that a failure to adjust salaries for inflation is not a violation of the duty in the state constitution to compensate judges. So the fate of judicial pay now stands where it began: before the governor and the Legislature. The Pigott ruling did contain a warning that "it should keep in mind, however, that whether the Legislature has met its constitutional obligations in that regard is within the province of this Court. ... We therefore expect appropriate and expeditious legislative consideration." "The Assembly will consider this matter when economic conditions improve," Speaker Sheldon Silver, D-Manhattan, said in a statement. His staffers said state revenues are growing more slowly than projected. "It is difficult to justify pay raises for anyone in public service," concurred Senate Democratic Conference Leader John Sampson. "Controlling spending among all sectors of government is not an easy decision, but it is the right decision at this time for the people of New York." Through his spokesman, Gov. David Paterson renewed his call for the Legislature to establish a Quadrennial Commission "that periodically would review and adjust judicial compensation." Its recommendations would be submitted to the Legislature for an up-or-down vote "without linkage to any extraneous notions." 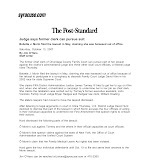 "The judiciary deserves such a straightforward analytical approach," said Paterson spokesman Morgan Hook. The governor's office also struck a fiscally conservative note: "We note that today's ruling from the Court of Appeals does not order any immediate legislative action. Indeed, considering New York's finances, a full pay raise at this time would be a large burden as we try and close a $8.2 billion deficit," Hook said in a statement. Chief Judge Jonathan Lippman recused himself from the court proceedings, and called the decision "groundbreaking." "The Legislature must now remedy the constitutional violation, and we expect them to do so in good faith and expeditiously," Lippman said in a broadcast address to the state's judges. "We are cognizant of the state's fiscal situation, but that does not detract one iota from the fact that judges have not received so much as a single cost of living adjustment in more than 11 years. If the other branches do not proceed in accordance with the court's decision, I will not hesitate to act in a manner consistent with the constitutional duties and obligations imposed upon me as the head of an independent branch of government." Lippman did not elaborate on what actions he might take. Staff writer Jimmy Vielkind can be reached at 454-5081 or by e-mail at jvielkind@timesunion.com. Note: Some judges receive an additional stipend. 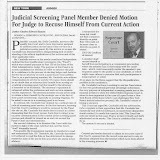 Opinion by Judge Pigott. Judges Ciparick, Graffeo, Read and Jones concur. Judge Smith dissents and votes to affirm in an opinion. Chief Judge Lippman took no part. 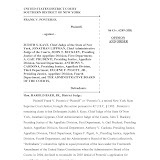 PIGOTT, J.—The constitutional arguments raised in these judicial compensation appeals are premised upon, among other things, alleged violations of the New York State Constitution's Compensation Clause and the Separation of Powers Doctrine. Because the Separation of Powers doctrine is aimed at preventing one branch of government from dominating or interfering with the functioning of another co-equal branch, we conclude that the independence of the judiciary is improperly jeopardized by the current judicial pay crisis and this constitutes a violation of the Separation of Powers Doctrine. The compensation of justices and judges of the Unified Court System, with certain exceptions not applicable here, is governed by article 7-B of the Judiciary Law (see Judiciary Law §§221-221-i). Article VI, section 25-a of the New York Constitution, also known as the "Compensation Clause", directs that the compensation of justices and judges "shall be established by law and shall not be diminished during the term of office for which he or she was elected or appointed." The last time the Legislature adjusted judicial compensation was in 1998, through the amendment of Judiciary Law article 7-B (see L 1998, ch 630 §1, eff. Jan. 1, 1999). That adjustment increased the annual salaries of this State's Judiciary to make them commensurate with the salaries paid their federal counterparts.1 Now, however, New York State ranks nearly last of the 50 states in its level of judicial compensation, adjusting for the cost of living. It is estimated that, over the last eleven years, the real value of judicial salaries has declined by approximately 25 percent to 33 percent. At the time the roughly 1300 judges and justices who comprise the so-called "Article VI judges" (i.e. judges covered by Article VI of the New York State Constitution) received the pay raise that was enacted in 1998, they presided over 3.5 million cases. Ten years later, in 2008, the judges presided over a staggering 4.5 million cases, 38 percent of which were criminal (approximately 1.71 million cases), 42 percent civil (approximately 1.89 million cases), 17 percent family court (approximately 765,000 cases) and 3 percent surrogates court (approximately 135,000 cases) (see New York State Unified Court System, Annual Report 1998 and 2008). 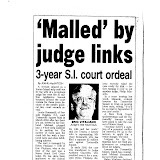 In 2006, the Judiciary submitted to Governor Pataki, as part of its proposed annual budget, a request for $69.5 million to fund salary adjustments for the approximately 1300 Article VI judges, retroactive to April 1, 2005. 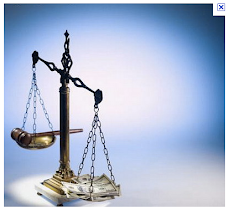 The intention was to restore pay parity with federal judicial salaries. Although made part of the State budget (see L 2006, ch 51, §2), the Legislature failed to authorize disbursement of the appropriation, because the Legislature and the Governor could not agree on a pay increase for the legislators themselves. The following year, Governor Spitzer included in his Executive Budget more than $111 million for judicial pay raises, retroactive to April 1, 2005, which, if implemented, would have placed salaries of State Supreme Court justices at an amount roughly on a par with federal judicial compensation. The Legislature removed that provision from the budget two months later. In April 2007, the Senate passed a bill (2007 NY Senate Bill S5313) increasing judicial compensation, this time retroactive to January 1, 2007, and calling for the creation of a commission to review future salary increases for both judges and legislators. Governor Spitzer refused to support this legislation, however, unless the Legislature enacted campaign finance and ethics reform measures. Two months later, the Governor expressed support for a "judges only" pay bill. Shortly thereafter, the Senate passed another bill (2007 NY Senate Bill S6550) providing for an increase in judicial salaries, this time without any corresponding increase for legislators. It also called for the establishment of a commission to examine future increases in judicial salaries taking into account the needs of the Judiciary and the State's ability to pay. The Assembly refused to act on that bill because it did not provide for an increase in legislative pay. The following year, Governor Paterson and the Legislature approved a budget for 2008-2009 that included $48 million for judicial salary increases. Like the 2006-2007 appropriation, this was a so-called "dry appropriation" requiring further legislation before the salaries could be paid— legislation that was never enacted. All parties to this litigation agree that Article VI justices and judges have earned and deserve a salary increase. That is what makes this litigation unique. Although the parties have been in accord regarding the need to adjust judicial compensation, the failure of the Legislature and the Executive to come to an agreement on legislation effecting a pay increase has led to the continuing inertia underlying this dispute. Maron v. Silver, et al. 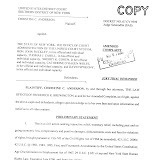 The Maron petitioners—current and former State Supreme Court Justices—commenced this hybrid CPLR article 78 proceeding/declaratory judgment action against respondents Sheldon Silver, as Speaker of the Assembly, Joseph Bruno, then Temporary President of the Senate, Eliot Spitzer, then Governor of New York, Thomas DiNapoli in his capacity as State Comptroller, the Assembly and Senate and the Office of Court Administration.2 The article 78 proceeding seeks mandamus relief compelling the Comptroller to disburse all retroactive sums and pay the budgeted raises allocated in the 2006-2007 state budget for judicial salary reform. The petition also asserts violations of the Separation of Powers Doctrine, equal protection and the state Compensation Clause. Supreme Court, Albany County, partially granted defendants' motion to dismiss the petition for failure to state a cause of action, leaving intact the separation of powers claim. 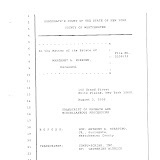 The court further held that Silver, Bruno and Spitzer were immune from suit because setting judicial salaries is a legislative act, and concluded that to the extent the petition alleged a constitutional violation against the Assembly and Senate, those allegations constituted claims against the State.3 In a 4-1 decision, the Appellate Division dismissed the petition, holding, among other things, that the Maron petitioners' failure "to allege a discriminatory attack on the judicial branch that has impaired or imminently threatened the Judiciary's independence and ability to function" was fatal to their separation of powers claim (Maron v. Silver, 58 AD3d 102, 123 [3d Dept 2008]). The Maron petitioners appealed to this Court as of right on the constitutional questions presented. This Court retained jurisdiction over the appeal and denied leave to appeal as unnecessary (see Maron v. Silver, 12 NY3d 909 ). Larabee v. Governor, et al. 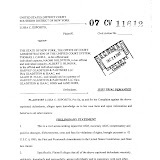 The Larabee plaintiffs—members of the New York State Judiciary—commenced this declaratory judgment action against Eliot Spitzer, in his capacity as Governor, the New York State Assembly and Senate, and the State, alleging violations of the state Compensation Clause and the Separation of Powers Doctrine. 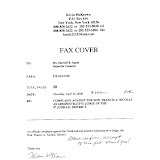 Supreme Court, New York County, granted the State defendants' motion to dismiss the Compensation Clause cause of action but, similar to the Supreme Court in Maron, concluded that the Larabee plaintiffs had sufficiently pleaded a separation of powers claim (see Larabee v. Spitzer, 19 Misc 3d 226, 231-237 [Sup Ct, New York County 2008]). Supreme Court dismissed the complaint in its entirety as against Governor Spitzer, noting that the Larabee plaintiffs conceded that he was not an "essential party" to the action, all parties having agreed that the Assembly, Senate and State were proper parties (see id. at 237-239). 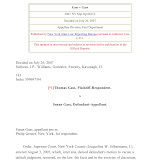 Supreme Court subsequently granted the Larabee plaintiffs summary judgment on the separation of powers cause of action (see Larabee v. Governor, 20 Misc 3d 866, 877 [Sup Ct, New York County 2008]). The State defendants appealed from that order and the Larabee plaintiffs cross-appealed from Supreme Court's order dismissing their Compensation Clause claim. The Appellate Division affirmed both orders (Larabee v. Governor, 65 AD3d 74 [1st Dept 2009]). The Larabee plaintiffs and State defendants appealed as of right and we retained jurisdiction. Chief Judge v. Governor, et al. 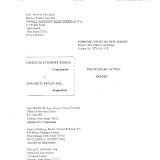 The Chief Judge plaintiffs—former Chief Judge Judith S. Kaye4 and the New York State Unified Court System—commenced this declaratory judgment action asserting three causes of action against David Paterson, Sheldon Silver, Joseph Bruno, all in their respective official capacities, and the Assembly, Senate and State. 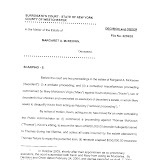 The complaint asserts one cause of action premised on a violation of the state Compensation Clause under a different theory than that posed by the Maron and Larabee plaintiffs; namely, that the diminution in judicial salaries has had a discriminatory effect on the Judiciary, rendering unconstitutional the salaries codified in Judiciary Law §§221 through 221-i. The two remaining claims are grounded on the Separation of Powers Doctrine. One of the claims is similar to those raised in the Maron and Larabee litigation; the other is premised on the theory that the Judiciary cannot function as a co-equal branch if it is not assured of receiving "adequate compensation," and that the judicial salaries codified in Judiciary Law §§221-221-i are constitutionally insufficient. The State defendants moved to dismiss the complaint for failure to state a cause of action. 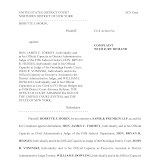 Supreme Court, New York County, searched the record and granted the Chief Judge plaintiffs summary judgment on the separation of powers claim that was similar to the one raised in Larabee, but dismissed the remaining causes of action attacking the constitutionality of Judiciary Law §§221-221-i (see Chief Judge v. Governor, 25 Misc 3d 268, 271-273 [Sup Ct, New York County ). As in Larabee, Supreme Court dismissed the complaint in its entirety as against the Governor (see id. at 271-272). 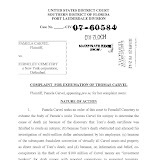 The State defendants appealed to the Appellate Division, which affirmed for the reasons stated in Larabee (see Chief Judge v. Governor, 65 AD3d 898, 898 [1st Dept 2009]). The Chief Judge plaintiffs appealed Supreme Court's order directly to this Court pursuant to CPLR 5601(b)(2) and we retained jurisdiction over the appeal. 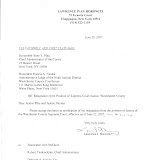 Because the Chief Judge plaintiffs challenged the constitutionality of the judicial salaries set forth in Judiciary Law §§221-221-i, the direct appeal from the order of Supreme Court was proper.5 The State defendants appealed as of right from the Appellate Division's affirmance of Supreme Court's order granting the Chief Judge plaintiffs summary judgment on the separation of powers claim. Members of the Court of Appeals are paid via the salary schedule delineated in Judiciary Law §221 and therefore will be affected by the outcome of these appeals. Ordinarily, when a judge has an interest in litigation, recusal is warranted. But this case falls within a narrow exception to that rule. 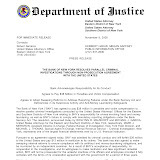 Because no other judicial body with jurisdiction exists to hear the constitutional issues raised herein, this Court must hear and dispose of these issues pursuant to the Rule of Necessity (see Maresca v. Cuomo, 64 NY2d 242, 247 n 1 , appeal dismissed 474 US 802  [addressing a challenge to the state Constitution's mandatory retirement age requirements for certain state judges] citing Matter of Morgenthau v. Cooke, 56 NY2d 24, 29 n 3 ). The Maron petitioners assert that the constitutional issues raised on these appeals can be avoided should this Court find that they are entitled to relief in the nature of mandamus compelling the Comptroller to pay the $69.5 million appropriated in the 2006-2007 state budget. As support for this argument, petitioners focus on chapter 51 of the laws of 2006 addressing "Judicial Compensation Reform." That provision contained a $69.5 million budget item "[f]or expenses necessary to fund adjustments in the compensation of state-paid judges and justices of the unified court system pursuant to a chapter of the laws of 2006" (emphasis supplied). Petitioners claim that the Comptroller improperly impounded these funds and should be ordered to release them to provide for judicial salary increases. 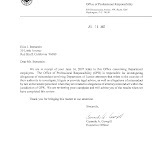 A CPLR article 78 proceeding seeking mandamus to compel the performance of a specific duty applies only to acts that are ministerial in nature and not those that involve the exercise of discretion (see Gimprich v. Board of Educ. 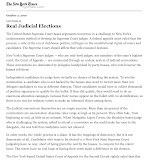 of City of N.Y., 306 NY 401, 406 ; see also Siegel, NY Prac §558, at 958 [4th ed]). 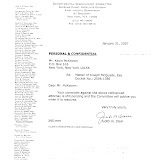 Because of the constitutional requirement that judicial compensation be "established by law" (NY Const, art VI, §25 [a]), mandamus does not lie in this instance because no subsequent chapter law was enacted either amending the Judiciary Law salary schedules or directing the disbursement of the funds. The $69.5 million referenced in the Judicial budget was explicitly made contingent upon the adoption of additional legislation, i.e. a chapter of the laws of 2006. Had the Legislature intended that the judicial compensation appropriation be self-executing, as petitioners claim, there would have been no need for the qualifying language. Moreover, a mere provision calling for a lump sum payment of $69.5 million without repeal or revision of the Judiciary Law article 7-B judicial salary schedules is further evidence that additional legislation was required before the funds could be disbursed. We, therefore, conclude that the Appellate Division properly dismissed petitioners' cause of action seeking mandamus against the Comptroller. 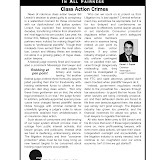 The Maron petitioners are the only litigants in these appeals who have alleged that the Judiciary constitutes a "suspect class" that has been denied equal protection under the law because judicial pay raises have been historically contingent on or "tied to" salary increases for legislators. They also assert that the State defendants' rationale for refusing to increase judicial salaries fails to pass the "strict scrutiny" test or the less stringent rational basis test. For the reasons set forth in the Appellate Division order, we conclude that Supreme Court properly dismissed that cause of action (see Maron, 58 AD3d at 123-124). The Maron petitioners and the Larabee plaintiffs assert Compensation Clause causes of action that are premised on their claims that judicial salaries have been unconstitutionally diminished because of inflation. The Chief Judge plaintiffs posit an additional argument, asserting that the Legislature's act of freezing judicial salaries while increasing the salaries of 195,000 other state employees amounted to discrimination against the Judiciary. The state Compensation Clause provides, in relevant part, that the compensation of members of the Judiciary "shall be established by law and shall not be diminished during the term of office for which he or she was elected or appointed" (NY Const, art VI, §25 [a]). The purpose of this "Compensation Clause" is the same as its federal counterpart: to promote judicial independence and ensure that the pay of prospective judges, who choose to leave their practices or other legal positions for the bench, will not diminish (see United States v. Will, 449 US 200, 221 ). The Maron petitioners and Larabee plaintiffs base their Compensation Clause arguments on an identical theory: By failing to increase judicial compensation, the Legislature has allowed inflation to considerably diminish the "real value" of judicial salaries, violating the state Compensation Clause's prohibition against diminution. They further claim that the state Compensation Clause's prohibition against diminishment should include the diminishment of compensation by any cause, including inflation. Since the inception of our State Constitution, this State has grappled with the issue of how best to establish the parameters of judicial compensation. In 1846, the Constitutional Convention adopted the phrase "shall not be increased or diminished"; an 1869 amendment, however, deleted the words, "increased or," allowing for the increase of compensation, but not a decrease (see Carter, New York State Constitution: Sources of Legislative Intent, at 85 ). 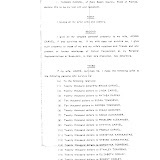 The 1894 Constitution restored the 1846 "shall not be increased or diminished" language, which was thereafter deleted in its entirety in 1909 and adopted a specific constitutional provision fixing salaries for certain judges at $10,000 per year (see Matter of Gresser v. O'Brien, 146 Misc 909, 917-918 [Sup Ct, New York County 1933], affd 263 NY 622 ). In 1921, a Judiciary Constitutional Convention was held to consider, among other things, amendments to the state Constitution concerning judicial compensation (see Judiciary Constitutional Convention of 1921: Report to Legislature, at 3 [1/4/22]). The Convention criticized the 1909 Compensation Clause amendment's inclusion of a salary schedule in the Constitution, stating that judicial compensation "'should, in the judgment of the present convention, be left entirely to the legislature, which after all is the body always directly in touch with and responsible to the people'" (New York State Constitutional Convention Committee, Problems Relating to Judicial Administration and Organization, at 339 , quoting Judiciary Constitutional Convention of 1921: Report to Legislature, at 29). In recommending removal of the salary schedule, the Convention considered the deleterious effects of inflation on judicial compensation and how it could negatively impact the independence and effectiveness of the Judiciary, ultimately concluding that the Legislature was in the best position to address that issue (see Judiciary Constitutional Convention of 1921: Report to Legislature, at 29). In 1925, the state Compensation Clause's "shall not be diminished" language was reinstated and remains unchanged (see Carter, at 85). It is evident from the events pre-dating the 1925 amendment that the concept of diminution of compensation was of paramount concern, and the final outcome was to authorize the Legislature to remedy any deficiencies; notably, the Legislature was precluded from diminishing salaries in recognition of the risk that salary manipulation might be used as a tool to retaliate for unpopular judicial decisions. Although the state Compensation Clause plainly prohibits the diminution of judicial compensation by legislative act during a judge's term of office, there is no evidence in the history of the Clause's enactment or subsequent amendments that supports a broad interpretation embracing indirect diminishment by neglect. Thus, there is no evidence that the state Compensation Clause's "no diminishment" rule was intended to affirmatively require that judicial salaries be adjusted to keep pace with the cost of living.6 In this regard, the state provision is comparable to the federal Compensation Clause (US Const, art III, §1) which also contains the same "shall not be diminished" language. Like the drafters of the state Compensation Clause, the Framers of the federal Constitution were cognizant of the effects of inflation on judicial compensation, but nonetheless left that determination to the discretion of the Legislature. At least two proposals concerning inflation were offered at the federal Constitutional Convention. One suggestion was that the fluctuations in the value of judicial compensation could be accounted for "by taking for a standard wheat or some other thing of permanent value" (2 M. Farrand, The Records of the Federal Convention of 1787, at 45 ). The other suggestion left judicial compensation to the discretion of the Legislature, which was in a better position to address inflationary concerns (see Will, 449 US at 219-220, supra; see also Hamilton, Federalist No. 79 ["It (is) therefore necessary to leave it to the discretion of the legislature to vary (compensation) in conformity to the variations in circumstances, yet under such restrictions as to put it out of the power of that body to change the condition of the individual for the worse"]). The latter approach carried the day, with the Convention adopting a motion to allow an increase of judicial compensation by Congress and, as a result, "accepting a limited risk of external influence in order to accommodate the need to raise judges' salaries when times changed" (Will, 449 US at 220). Contrary to the contention of the Maron petitioners and Larabee plaintiffs, federal jurisprudence does not support their assertion that the state and federal Compensation Clauses prohibit "indirect" diminution of compensation due to inflation. Although the cases cited support the general proposition that judicial compensation may not be either "directly" or "indirectly" reduced, none of them stands for the proposition that the Legislature's failure to adjust compensation to account for inflation constitutes an indirect attack on judicial compensation. In Evans v. Gore, a federal judge challenged, on federal Compensation Clause grounds, Congress's authority to include sitting federal judges within the scope of a federal income tax law that the Sixteenth Amendment had authorized years earlier, claiming that the imposition of such a tax constituted a diminishment in salary (see 253 US 245, 247 , overruled by United States v. Hatter, 532 US 557 ). In finding the tax violative of the federal Compensation Clause, the Evans court noted that "diminution may be effected in more ways than one. Some may be direct and others indirect and even evasive… But all which by their necessary operation and effect withhold or take from the judge a part of that which has been promised by law for his services must be regarded as within the prohibition" (id. at 254). In Miles v. Graham, the United States Supreme Court extended the Evans holding to those judges who assumed office after the tax had become law (see Miles v. Graham, 268 US 501, 508-509 , overruled in part by O'Malley v. Woodrough, 307 US 277 ). The O'Malley court overruled Miles, but left the core holding of Evans intact (see O'Malley, 307 US at 282-283). However, the Supreme Court in United States v. Hatter overruled Evans "insofar as it holds that the Compensation Clause forbids Congress to apply a generally applicable, nondiscriminatory tax to the salaries of federal judges, whether or not they were appointed before enactment of the tax" (Hatter, 532 US at 567). The Hatter court agreed with Evans, however, "insofar as it holds that the Compensation Clause offers protections that extend beyond a legislative effort directly to diminish a judge's pay, say, by ordering a lower salary… Otherwise a legislature could circumvent even the most basic Compensation Clause protection by enacting a discriminatory tax law, for example, that precisely but indirectly achieved the forbidden effect" (id. at 569 [emphasis supplied]). The evolution of Supreme Court jurisprudence from Evans to Hatter establishes that a nondiscriminatory tax that treats judges the same as other citizens is permissible, but direct diminution of compensation or the discriminatory taxation of judges is not. In either case, it is the diminishment of salary by Congress, be it direct or indirect, that is prohibited. Here, the Legislature has not enacted legislation that has directly diminished judicial compensation in violation of the state Compensation Clause, nor has it enacted discriminatory legislation that has indirectly resulted in the diminution of judicial compensation. The claim is that inflation has had this effect. 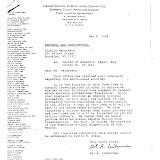 However, at least as far as the federal Compensation Clause is concerned, the intention of the Framers was that Congress would serve as the failsafe that prevents inflation from eating away at the real value of judicial salaries (see Atkins v. United States, 556 F2d 1028, 1048 [US Ct of Claims 1977] cert denied 434 US 1009  [addressing inflation]). There is no reason for this Court to depart from that rationale, because it is evident from the history surrounding the enactment of our state Compensation Clause that, although the diminution in value of judicial compensation by inflation was a concern, the drafters decided that the best way to combat the effects of inflation was to count on the Legislature—the body directly accountable to the public—to assure the fair and appropriate compensation of the judiciary. We therefore determine that the Legislature's failure to address the effects of inflation in this case does not equate to a per se violation of the Compensation Clause. The Chief Judge plaintiffs' Compensation Clause argument is distinctly different from the claims raised by the other litigants. Rather than contending that inflation resulted in the unconstitutional diminution of judicial salaries, they assert that by freezing judicial salaries while repeatedly increasing the salaries of almost all of the remaining 195,000 state employees to keep pace with the cost of living, the State defendants discriminated against the Judiciary in violation of the state Compensation Clause. This argument is premised exclusively on the Supreme Court's holding in Hatter (532 US 557, supra), which involved a Social Security tax law that, at the time of its enactment, mandated that all newly-hired federal employees participate in the Social Security program. The law also offered almost all of the then-currently employed federal employees (96 percent) the option to participate without any additional financial obligation. But it created an exception for the remaining four percent of currently employed federal employees, however, which required members of that class—who contributed to a "covered" retirement program—to participate in the system without any further additional financial obligation. The legislation left those who did not participate in a "covered" program (i.e., a group consisting "almost exclusively" of federal judges) without a choice; their financial obligations and payroll deductions would increase as a result of the imposition of the new tax (id. at 562-564). In finding the law violative of the federal Compensation Clause as discriminatory against judges, the Hatter court noted that the Social Security legislation was "special—in its manner of singling out judges for disadvantageous treatment, in its justification as necessary to offset advantages related to constitutionally protected features of the judicial office, and in the degree of permissible legislative discretion that would have to underlie any determination that the legislation has 'equalized' rather than gone too far." It was these elements that made the Social Security tax distinctly different from a nondiscriminatory tax (id. at 576). According to the Chief Judge plaintiffs, just as the Social Security tax law in Hatter imposed a discriminatory tax on the Judiciary, inflation has the same impact on judicial compensation as a tax and, although the failure to remedy it in and of itself may not violate the state Compensation Clause, in this case the Judiciary has been singled out because nearly all of the other 195,000 state employees have received salary increases to compensate in part for inflation. We are unpersuaded that relief is warranted under the Hatter analysis. First, Hatter involved a legislative enactment that discriminated against federal judges by reducing the compensation of judges only; the situation here does not involve any legislative enactment that directly or indirectly diminishes judicial compensation. Second, although other state employees have received adjustments to account for inflation, judges are not the only state employees whose salaries have not been adjusted; the Governor, Lieutenant Governor, members of the Legislature and other constitutional officers have also not received salary increases since 1999. We therefore cannot say that judges have been disadvantaged in a manner comparable to the discriminatory treatment in Hatter. Therefore, Supreme Court properly dismissed this cause of action. The Maron petitioners and the Larabee and Chief Judge plaintiffs all make the same separation of powers argument: By tying judicial compensation to unrelated legislative objectives and policy initiatives, as opposed to conducting an independent assessment of judicial compensation, the Legislature has disregarded the Separation of Powers Doctrine and threatened the independence of the Judiciary. The State defendants counter that there is nothing in the constitutional text or framework prohibiting the Legislature from considering judicial compensation along with other prerogatives. Furthermore, any declaration condemning that practice as unconstitutional would itself constitute a separation of powers violation by the Judiciary through intrusion into budgetary and appropriations processes. In Maron, the Appellate Division dismissed petitioners' claim on the ground that their failure "to allege a discriminatory attack on the judicial branch that has impaired or imminently threatened the Judiciary's independence and ability to function" was fatal to the claim (Maron, 58 AD3d at 123). This claim met with greater success in Larabee and Chief Judge, where the Appellate Divisions in each of those cases upheld the Supreme Court's award of summary judgment to those plaintiffs (see Chief Judge, 65 AD3d 898, 898 [1st Dept 2009]; Larabee, 65 AD3d at 74). The concept of the separation of powers is the bedrock of the system of government adopted by this state in establishing three co-ordinate and co-equal branches of government, each charged with performing particular functions (see generally Under 21, Catholic Home Bur. 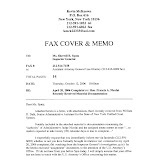 for Dependent Children v. City of New York, 65 NY2d 344, 355-356 ; Oneida County v. Berle, 49 NY2d 515, 522 ). The Constitution's aim "is to regulate, define and limit the powers of government by assigning to the executive, legislative and judicial branches distinct and independent powers," thereby ensuring "an even balance of power [among] the three" (People ex rel. Burby v. Howland, 155 NY 270, 282 ). The separation of the three branches is necessary "'for the preservation of liberty itself,'" and "'[i]t is a fundamental principle of the organic law that each department should be free from interference, in the discharge of its peculiar duties, by either of the others'" (Berle, 49 NY2d at 522 quoting Burby, 155 NY at 282). To accomplish this important goal, Articles III, IV and VI of the state Constitution address the respective powers conferred upon, and respective compensation of, the Legislature, Executive and Judiciary. Article III states that "[t]he legislative power of this state shall be vested in the senate and the assembly" (NY Const, art III, §1), and that "[e]ach member of the legislature shall receive for his or her services a like annual salary, to be fixed by law…[but] the salary of any member…may [not] be increased or diminished during, and with respect to, the term for which he or she shall have been elected" (NY Const, art III, §6). Article IV states that "[t]he executive power shall be vested in the governor, who shall hold office for four years" (NY Const, art IV, §1), and who "shall receive for his or her services an annual salary to be fixed by joint resolution of the senate and assembly" (NY Const, art IV, §3). Article VI states that "[t]here shall be a unified court system of the state" (NY Const, art VI, §1) and that the compensation of judges and justices within that system "shall be established by law and shall not be diminished during the term of office for which he or she was elected or appointed" (NY Const, art VI, §25 [a]). We find it significant that the compensation provisions for each branch of government are not contained in Article III where the powers of the legislative branch are articulated, but rather are separately addressed in the article for each respective branch. Although a function of the Legislature is to approve the compensation of each of the three branches, this fact underscores only the checks and balances of the system; it does not rebut the fact that the compensation to be paid to members of each particular branch must be determined separately and distinctly from the others. Indeed, whether the Judiciary is entitled to a compensation increase must be based upon an objective assessment of the Judiciary's needs if it is to retain its functional and structural independence. Simply put, by failing to consider judicial compensation increases on the merits, and instead holding it hostage to other legislative objectives, the Legislature "[w]eaken[s the Judiciary]…by making it unduly dependent" on the Legislature (Burby, 155 NY at 282). Separate budgets, separate articles in the Constitution, and separate provisions concerning compensation are all testament to the fact that each branch is independent of the other. This, of course, does not mean that the branches operate without concern for the other. Both the Legislature and the Governor rely on the good faith of the other and of the Judiciary for the good of the State. As members of the two "political" branches, the Governor and Legislature understandably have the power to bargain with each other over all sorts of matters including their own compensation. Judges and justices, on the other hand, are not afforded that opportunity. They have no seat at the bargaining table and, in fact, are precluded from participating in politics. The judicial branch therefore depends on the good faith of the other two branches to provide sufficient funding to fulfill its constitutional responsibilities. Given its unique place in the constitutional scheme, it is imperative that the legitimate needs of the judicial branch receive the appropriate respect and attention. This cannot occur if the Judiciary is used as a pawn or bargaining chip in order to achieve ends that are entirely unrelated to the judicial mission. For instance, the Constitution prohibits legislators from increasing or decreasing their own salaries during their two-year term of office, but there is no such prohibition against the Legislature addressing judicial compensation at any time. Moreover, state legislators are part-time and may supplement their income through committee assignments, leadership positions and other outside employment. Judges are constitutionally forbidden from engaging in any employment that would interfere with their judicial responsibilities (see NY Const, art VI, §2 [b] ). But by failing to consider judicial compensation independently of legislative compensation, the State defendants have imposed upon the Judiciary the same restrictions that have been imposed on the Legislature, and have blurred the line between the compensation of the two branches, thereby threatening the structural independence of the Judiciary. The State defendants assert that it is within their legislative rights to consider judicial compensation not on the merits but relative to unrelated policy initiatives. But they overlook the fact that they are treating judicial compensation—which falls within the scope of their constitutional duties—as if it were merely another government program appropriation as opposed to compensation for members of a co-equal branch. We do not attribute the State defendants' failure to increase judicial compensation to any nefarious purpose. Indeed, it is not necessary to consider, or find, the existence of any improper motive. All parties agree that a salary increase is justified and, yet, those who have the constitutional duty to act have done nothing to further that objective due to disputes unrelated to the merits of any proposed increase. This inaction not only impairs the structural independence of the Judiciary, but also deleteriously affects the public at large, which is entitled to a well-qualified, functioning Judiciary (see O'Donoghue v. United States, 289 US 516, 533  [prohibition against diminution is to attract competent people to the bench, promote independence of the Judiciary, and for the public interest]). It must be remembered that the Separation of Powers Doctrine "is a structural safeguard rather than a remedy to be applied only when specific harm, or risk of specific harm, can be identified. 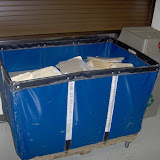 In its major features…it is a prophylactic device, establishing high walls and clear distinctions because low walls and vague distinctions will not be judicially defensible in the heat of interbranch conflict" (Plaut v. Spendthrift Farm, Inc., 514 US 211, 239  [emphasis in original]). 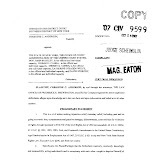 Here, the allegations by the Maron petitioners are sufficient to state a separation of powers claim. As that case is here before us on a CPLR 3211 motion to dismiss, our corrective action is limited to a reinstatement of that cause of action. 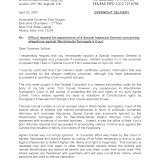 In Larabee and Chief Judge, the procedural posture of the cases is not so limiting and we may now issue a declaration. We hold that under these circumstances, as a matter of law, the State defendants' failure to consider judicial compensation on the merits violates the Separation of Powers Doctrine. However, when "fashioning specific remedies for constitutional violations, we must avoid intrusion on the primary domain of another branch of government" (Campaign for Fiscal Equity, Inc. v. State of New York, 8 NY3d 14, 28 ). Indeed, deference to the Legislature—which possess the constitutional authority to budget and appropriate—is necessary because it is "in a far better position than the Judiciary to determine funding needs throughout the state and priorities for the allocation of the State's resources" (id. at 29). 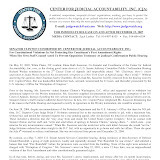 The Judiciary may intervene in the state budget "only in the narrowest of instances" (Wein v. Carey, 41 NY2d 498, 505 ), and we do not believe that it is necessary here to order specific injunctive relief. When this Court articulates the constitutional standards governing state action, we presume that the State will act accordingly. The Chief Judge plaintiffs make a separation of powers claim not raised by the Maron petitioners or Larabee plaintiffs: The separation of powers doctrine requires that the State defendants provide the Judiciary with "adequate judicial compensation" and, because judicial salaries are constitutionally inadequate, the State defendants have breached their constitutional duty. The constitutional inadequacy of judicial salaries, the Chief Judge plaintiffs posit, threatens to impair the Judiciary's ability to function as a co-equal branch. The Compensation Clause was enacted to preserve judicial independence, and we agree with the conclusion of high courts in other jurisdictions that this is dependent, in part, on judges receiving adequate compensation (see Glancy v. Casey, 447 PA 77, 86  ["it is the constitutional duty and the obligation of the legislature, in order to insure the independence of the judicial…branch of government, to provide compensation adequate in amount and commensurate with the duties and responsibilities of the judges involved"]). Moreover, adequate judicial compensation is necessary to ensure that the public will have its matters heard by competent judges (see Judiciary Constitutional Convention of 1921: Report of the Legislature, at 29, supra) and that judges will be free to issue decisions in accordance with the law without fear of retribution by the other two branches of government. Therefore, we reject the State defendants' claim that the Compensation Clause's language that compensation "shall not be diminished" is the opposite of an "adequate compensation" guarantee. Even counsel for the State defendants in Larabee concede that judicial compensation "could be so low that it could be constitutionally objected to." The Chief Judge plaintiffs posit that the current salaries of Judiciary Law article 7-B judges and justices are inadequate when compared to other legal positions in the public and private sectors. This argument is one that is best addressed in the first instance by the Legislature. All of the State defendants have conceded, at one point or another, that judicial compensation must be increased. We anticipate that our holding today will permit them to consider, in good faith, judicial salary increases on the merits. The Legislature might find the record compiled in the Chief Judge case to be helpful. There, plaintiffs demonstrate— without rebuttal from the State—that, in real value, New York judges' salaries now rank below judicial salaries in other states and the federal judiciary, despite the complexity of legal issues presented in New York—a world economic center—and the burgeoning case load faced by New York judges. The argument for a cost-of-living increase is not that, in some objective sense, New York Judges do not earn a living wage. Judges made no such argument when this litigation commenced in much better economic times and certainly do not press such a contention now. The claim is that, due to the lack of a cost-of-living increase for more than 11 years, judges no longer earn salaries that are appropriate given the significance of their position in our tri-partite form of government and the role they play in ensuring the rights of all members of society. That role has increased substantially since the last compensation adjustment. For instance, the Judiciary's workload has increased by 10 percent over the past four years alone. Since 2005, Family Court's workload has increased 16 percent, civil filings in Supreme Court have increased more than 14 percent, and the caseloads in the New York City Civil Courts and those city courts outside of New York City have risen by 13 and 17 percent, respectively. Moreover, state courts handle over 90 percent of the filings as compared to the less than 10 percent handled by our federal courts. Judicial salaries need not be exorbitant, but they must be sufficient to attract well-qualified individuals to serve. Otherwise, only those with means will be financially able to assume a judicial post, negatively impacting the diversity of the Judiciary and discriminating against those who are well qualified and interested in serving, but nonetheless unable to aspire to a career in the Judiciary because of the financial hardship that results from stagnant compensation over the years. It is unfortunate that this Court has been called upon to adjudicate constitutional issues relative to an underlying matter upon which all have agreed; namely, that the Judiciary is entitled to a compensation adjustment. By ensuring that any judicial salary increases will be premised on their merits, this holding aims to strike the appropriate balance between preserving the independence of the Judiciary and avoiding encroachment on the budget-making authority of the Legislature. Therefore, judicial compensation, when addressed by the Legislature in present and future budget deliberations cannot depend on unrelated policy initiatives or legislative compensation adjustments. Of course, whether judicial compensation should be adjusted, and by how much, is within the province of the Legislature. It should keep in mind, however, that whether the Legislature has met its constitutional obligations in that regard is within the province of this Court (see Marbury v. Madison, 1 Cranch 137, 177 ). We therefore expect appropriate and expeditious legislative consideration. 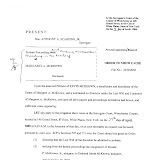 Accordingly, In Maron, the order of the Appellate Division should be modified, without costs, by remitting to Supreme Court for further proceedings in accordance with this opinion, and as so modified, affirmed. 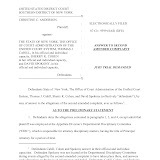 In Larabee, the order of Appellate Division should be modified, and in Chief Judge, the judgment of Supreme Court and the order of the Appellate Division should be modified, without costs, by granting judgment declaring that under the circumstances of these cases, as a matter of law, the State defendants' failure to consider judicial compensation on the merits violates the Separation of Powers Doctrine, and by allowing for the remedy discussed in this opinion, and, as modified, affirmed. SMITH, J. (dissenting)—I share my colleagues' dismay at the Legislature's behavior in dealing with, or rather failing to deal with, judges' salaries, but I cannot agree that any of its actions or inactions are unconstitutional. The majority holds that the Legislature has violated the separation of powers by its failure to consider judicial salaries "based upon an objective assessment of the Judiciary's needs" (op at 27) or to give "appropriate respect and attention" to the needs of the judicial branch (op at 28). Undoubtedly, all branches of government should evaluate each other's needs objectively and treat each other with respect, but I know no warrant for thinking that objectivity and respect are commanded by the Constitution. These qualities are so amorphous and subjective that they can provide no workable standard for constitutional decision-making. As the Appellate Division in Maron put it, "nothing in the NY Constitution forbids the political branches from engaging in politics when carrying out their political functions" (Maron v. Silver, 58 AD3d 102, 122 [3d Dept 2008]). Separation of powers is violated not when one of the three branches acts irresponsibly—that happens all the time—but when one threatens the place of another in the constitutional scheme. Thus I might well agree that separation of powers was violated if the actual or imminent effect of the Legislature's conduct were to make the recruitment of competent judges impossible, or to render judges subservient to the other branches of government. I need not expand on this point; it is well explained both in the Appellate Division's Maron opinion (58 AD3d at 116-23)and in Atkins v. United States (556 F2d 1028, 1054-57 [Ct Cl 1977], cert denied 434 US 1009 ), a federal case involving facts much like those before us now. Bad as the present situation is, neither of the disastrous conditions I have mentioned—a bench that cannot be filled with competent people, or one whose financial dependence makes it the slave of the Legislature —exists or is close to existing. 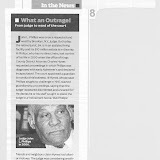 It is a depressing truth that some of our finest judges have left, or are thinking of leaving, their jobs because of the Legislature's failure to deal with the salary issue; but it is also true that there are still plenty of able judges, and plenty of able people who would willingly become judges, even at today's pay levels. And I have seen no evidence of judicial subservience to the Legislature; the problem, if there is one, is to restrain judges' understandable displeasure with that branch of our government. 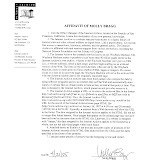 I would affirm the Appellate Division order in Maron, and would modify the orders in Larabee and Chief Judge to dismiss all claims in the complaints. Case No. 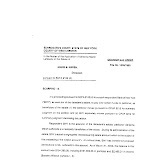 16: Order modified, without costs, by remitting to Supreme Court, Albany County, for further proceedings in accordance with the opinion herein. Opinion by Judge Pigott. Judges Ciparick, Graffeo, Read and Jones concur. Judge Smith dissents and votes to affirm in an opinion. Chief Judge Lippman took no part. Case No. 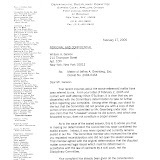 17: Order modified, without costs, by granting judgment declaring that, under the circumstances of this case, as a matter of law, the State defendants' failure to consider judicial compensation on the merits violates the separation of powers doctrine, and by allowing for the remedy discussed in the opinion herein, and, as so modified, affirmed. Opinion by Judge Pigott. Judges Ciparick, Graffeo, Read and Jones concur. Judge Smith dissents in an opinion. Chief Judge Lippman took no part. Case No. 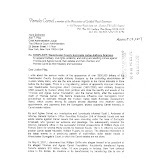 18: On plaintiffs' appeal and defendants' cross appeal, judgment of Supreme Court and order of the Appellate Division modified, without costs, by granting judgment declaring that, under the circumstances of this case, as a matter of law, the State defendants' failure to consider judicial compensation on the merits violates the separation of powers doctrine, and by allowing for the remedy discussed in the opinion herein, and, as so modified, affirmed. Opinion by Judge Pigott. Judges Ciparick, Graffeo, Read and Jones concur. Judge Smith dissents in an opinion. Chief Judge Lippman took no part. 1. For reference, according to the Federal Judicial Center, more than 90 percent of the cases filed annually are in state courts, less than 10 percent are filed in the federal system. 2. The sole claim asserted against the OCA involved judicial health benefits. That claim has been severed from this action by stipulation and is not at issue on this appeal. 3. For ease of reference, all defendants to these litigations are collectively referred to as "State defendants." 4. The parties have since stipulated to substitute Chief Judge Jonathan Lippman for former Chief Judge Kaye. 5. Based on these conclusions, the State defendants' contention that the Chief Judge plaintiffs' appeal from Supreme Court should be dismissed for lack of jurisdiction is with out merit. 6. That being said, as indicated later in this opinion, we do not rule out the possibility that a total neglect by the Legislature to consider or address judicial salaries could never, depending on the passage of time and changes in the value of money, cause salaries to dip so low that they fall below a constitutionally permissible floor. To choose an extreme example, if the Legislature had not raised salaries since 1909 when certain judges earned an annual salary of $10,000, a very different case would be presented. In July 2008, Brooklyn attorney Mark Schwartz and his wife Christina Petrowski-Schwartz, a divorce mediator, were found shot dead—"execution-style," according to the tabloids—in their bed in their Marine Park home. Yesterday, the Brooklyn District Attorney's Office announced the indictment and arrests of four defendants who, along with the couple themselves, allegedly operated a million-dollar criminal conspiracy involving money laundering, identity theft, mortgage fraud and larceny. Read the indictment. The investigation into the murders remains ongoing, and the prosecution has not alleged a direct link between the conspiracy and the deaths. Rather, the district attorney's office said the murder probe led to the discovery of the crime ring. According to the indictment filed yesterday, four individual defendants — Robert Delvicario, Lennox Johnson, Shanda Bruce and Thermine Remy — joined the couple in a series of scams in order to steal and launder money from, among others, the couple's clients. The defendants allegedly recruited straw buyers to participate in fraudulent real estate transactions, then laundered the proceeds through forged documents and stolen identities. Prosecutors said that their crimes stretched from Brooklyn to Queens, Long Island, Westchester County, Connecticut and New Jersey. 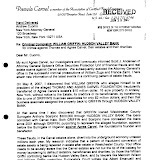 One of the main victims of the alleged conspiracy was Tiffany Partners, the principal developer of a Carroll Gardens condominium and a client of Mr. Schwartz. According to the indictment, the defendants drained some $270,000 deposited by the corporation into an escrow account to bond mechanics liens filed by contractors against the property. The defendants—which also include three corporations, Adonis Abstract (which was owned by the Schwartzes), LBW Corp. and Robo Capital Securities—are charged with a wide range of crimes, including enterprise corruption, grand larceny and money laundering. "These defendants thought they could bankroll their extravagant lifestyles by stealing from clients who trusted them, but as is often the case, they eventually turned on each other, robbing their own partners in crime, as well," District Attorney Charles J. Hynes said yesterday at a news conference. "My office will continue to work with the NYPD to determine who killed Mark Schwartz and Christina Petrowski." According to the indictment, three of the defendants—Mr. Delvicario, Mr. Johnson and Ms. Bruce—ultimately "turned" on the Schwartzes and began stealing from Mr. Schwartz's firm. Mr. Delvicario, a former business partner of Mr. Schwartz, has long been considered a suspect in the murders of Mr. Schwartz, 60, and Ms. Petrowski-Schwartz, 48. Reached for comment yesterday, Mr. Delvicario's attorney, solo practioner Joseph Mure, said, "We'd love to see the discovery on how they connect [Mr. Delvicario] to all this." Mr. Mure added that his client "obviously denied and continues to deny" any responsibility for the murders. The individual defendants were arrested early yesterday morning and face prison sentences of up to 25 years. Assistant District Attorneys Laura Neubauer and Wojciech Jackowski of the Rackets Division are prosecuting the case, which investigators dubbed "Operation Bankroll." MIAMI, FL - Attorney-accountant Lewis Freeman, for years a favorite when judges were ready to name receivers and trustees, was charged today with wire fraud for allegedly skimming funds from the accounts he controlled under court appointments. Freeman was charged by criminal information, indicating a plea deal has been arranged. The single count carries a maximum 20-year prison sentence by law. He was set for an initial appearance this afternoon before U.S. Magistrate Judge Robert Dube, and the case was assigned to U.S. District Judge Ursula Ungaro for plea or trial. The Miami and Plantation offices of Lewis B. Freeman & Partners were raided by the FBI last October after investigators said they were trying to trace $3.6 million in accounts controlled by Freeman. The information charges he illegally cashed 162 checks worth a total of $2.6 million since 2000. “Lew Freeman made serious mistakes in the way he ran his business,” said Joseph DeMaria, one of Freeman’s criminal defense attorneys. “Lew cooperated immediately and fully.” Freeman, who has an outsized personality, was always willing to talk about the companies he operated and the world of receivers and trustees parachuting into failing companies and ventures ridden by fraud to recover as much as possible for investors. He lived a showy lifestyle in an eight-bedroom, 5,800-square-foot home in Miami’s Coconut Grove neighborhood with an estimated market value of $1.38 million, according to the Miami-Dade County property appraiser’s records. State Supreme Court Justice Patrick McGrath of Troy should be admonished for sending a letter to pistol permit holders during his campaign promising he would not abandon them should he be elected to the higher court, a state judicial watchdog panel said Tuesday. It was the second time in six years McGrath, a former Rensselaer County judge, has been disciplined for his conduct. As a county judge McGrath signed more than 20,000 permits and permit amendments. During his fall 2008 campaign for Supreme Court, he stated that should he be elected to that office, he looked "forward to serving the pistol permit holders for another 14 years," the length of a Supreme Court term. The state Commission on Judicial Conduct, in a determination dated Feb. 5, found that McGrath "made improper pledges or promises" to pistol permit holders and "misrepresented his jurisdiction over such permits." The commission ruled unanimously in recommending the sanction. McGrath, 56, a Troy Democrat, defeated incumbent Appellate Division Associate Justice Anthony Carpinello, a highly regarded jurist, in the November 2008 election. Using "Judge McGrath for Supreme Court" stationery, the judge sent letters in October of that year to about 7,000 people in Rensselaer County, addressing them as "Fellow Pistol Permit Holder." He said as a county judge for the past 14 years -- he was in his second term in that office -- he had been "responsible for all pistol permits in Rensselaer County. My pistol permit is very important to me as I know yours is to you," the judge wrote. He continued, saying as a Supreme Court justice, "I will still be responsible for all pistol permits in Rensselaer County." He ended the letter asking for the person's vote. The commission, referring to case law, said "even an implied pledge or promise may violate ... ethical standards." 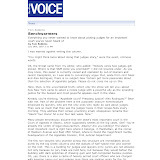 It said that viewed in its entirety, the letter "conveyed bias and the appearance of bias in favor of pistol permit holders and implied that as a judge he would favorably consider their interests." "A judge's role is to serve the public as a whole, not a specific constituency," the commission said. Also, the panel said, McGrath misstated the law by suggesting he would still be responsible for all pistol permits in the county. "Any judge or justice of a court of record in the county may issue a pistol permit," the panel said. By representing that he had "exclusive jurisdiction over such permits not only was legally incorrect, but buttressed the biased message conveyed in his letter," the panel said. 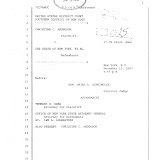 In 2004, McGrath was admonished for publicly commenting on the Christine Wilhelm murder trial on national television. 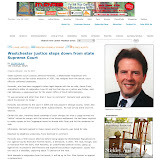 At the time, he was a candidate for re-election to Rensselaer County Court. In view of that discipline McGrath "should have been especially sensitive to the ethical rules," the commission said. An admonishment is the lowest form of public reprimand a judge can receive from the commission. Within the next 30 days, McGrath can ask Chief Judge Jonathan Lippman for a review of the determination by the Court of Appeals, the state's highest court. If he chooses not to make the request, the commission's recommendation of admonishment takes effect. McGrath could not be reached for comment Tuesday. 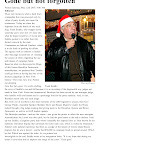 In a 2008 Times Union story, Carpinello, McGrath's opponent, took issue with the pistol permit letter. But McGrath said he was comfortable with it. "I received a lot of inquiries," McGrath said. "A lot of holders wanted to know what would happen if I become a Supreme Court judge." McGrath said at the time he had "established a pretty good relationship with all the rod and gun clubs over the years, and they have been happy with the way I handle permits." Some club members told McGrath they weren't going to vote for him because they wanted him to remain a county judge. The letter was "an informational thing," the judge said at the time. He said he obtained names and addresses through a Freedom of Information request, saying the information is public record and is used all the time for political purposes. Carpinello said at the time that while he was pro-Second Amendment and believes in the constitutional right to bear arms, he felt "the tone of the letter is problematic. The clear tone ... is that I'm a pro-pistol permit judge." Carol DeMare can be reached at 454-5431 or by e-mail at cdemare@timesunion.com. Gov. David A. Paterson nominated Jonathan Lippman to head the New York Court of Appeals in January 2009, making him the chief judge of the state. The choice was a gamble: The judge, a longtime court administrator, did not have a long history of deciding cases, and there was almost no record of his political views. Now, a year in, the parameters of the Lippman court are coming into focus. He has helped turn the Court of Appeals into a scrappier, more divided and more liberal panel, its rulings and court statistics show. To get the rulings he wants, the decisions show, the new chief judge has built alliances case by case with each of the four judges who were nominated by the last Republican governor, George E. Pataki, cracking the conservative majority. The changes to the culture of the court, New York’s highest — which has sometimes been one of the most influential state courts in the country — are especially striking when Chief Judge Lippman’s approach is compared with the judicial style of his predecessor, Judith S. Kaye. She had prized unanimity. In the past year, the court has issued a series of sharply divided decisions that have been surprising from a judicial body with a clear 4-to-3 conservative majority. They have included decisions favoring criminal defendants and injured workers, expanding environmental challenges and extolling individual rights against the police. “The message he is sending is he doesn’t mind fighting for a much more progressive direction at the court,” Vincent M. Bonventre, a professor at Albany Law School who studies the court, said of Judge Lippman. Though fiscal and political problems have plagued Mr. Paterson, a Democrat, Judge Lippman’s nomination may be one of his most enduring accomplishments in shaping policy. Judge Lippman, 64, does not reach mandatory retirement age until 2015. Noting that the Supreme Court had yet to rule on questions presented by Global Positioning Systems, for example, the Court of Appeals ruled 4 to 3 that the State Constitution barred the police from placing GPS tracking devices on cars without a warrant. A different Republican judge joined the three Democratic appointees in another divided ruling, this one striking down a youth curfew in Rochester as unconstitutional, though other courts around the country have approved such laws. The Lippman court has also shifted ground on worker injury suits, saying that in the past the court too rigidly limited some of them. It has also signaled a new interest in arguments from criminal defendants, sharply increasing, at Judge Lippman’s urging, the number of appeals it is considering. In an interview, Judge Lippman acknowledged that he had a different approach from that of Judge Kaye, a longtime collaborator in running the courts. She was also nominated by a Democrat, former Gov. Mario M. Cuomo, but during her nearly 16 years as chief judge, she often worked for unified rulings. 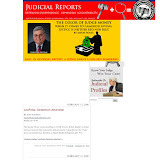 “I am a result-oriented person,” Judge Lippman said, “and the result I am looking for is not necessarily unanimity.” According to the court, unanimous rulings declined from about 82 percent during 2008, Judge Kaye’s final year, to 69 percent in Judge Lippman’s first year. During Judge Kaye’s tenure, the court became more conservative partly because of the arrival of the four Pataki judges. Professor Bonventre, the Albany Law School expert, said that divided decisions became more common in Judge Kaye’s final years but that dissents increased further after Judge Lippman arrived. The rulings indicate that on occasion, Judge Lippman has tailored his arguments to attract one of the four Pataki judges. In a decision he wrote in September, the court waded into politics by overruling two lower courts that had said Mr. Paterson’s appointment of Richard Ravitch as lieutenant governor was unlawful. That view, Judge Lippman wrote, would “frustrate the work of the executive branch.” It was an argument that seemed crafted to appeal to Judge Susan P. Read, a staunch conservative but a former top legal adviser to Governor Pataki, who was not shy about exerting executive authority. It was a party-line vote, except that Judge Read broke with the other Pataki appointees. In the environmental case, Judge Lippman and the other two Democratic appointees aligned with two of the Republican-appointed judges, Victoria A. Graffeo, a onetime Republican legislative lawyer, and Robert S. Smith, who had sometimes expressed libertarian views. The decision, written by Judge Smith, appeared to involve tradeoffs. It tartly noted that the suit sought to kill a proposed hotel to protect obscure species, the Eastern spadefoot toad and the worm snake. The hotel got a green light. But in the process, the case gave environmentalists one of their most important court victories in New York in nearly 20 years. The majority said a 1991 ruling of the court had been too narrowly applied to limit those who could bring such suits to immediate neighbors. Stephen F. Downs, the lawyer for Save the Pine Bush, the Albany group that brought the suit, said someone on the bench seemed to be paying for an environmental victory with a defeat for the spadefoot toad. “My impression,” Mr. Downs said, “was there was a certain amount of horse trading that went on.” That would be vintage Lippman, people who know him say. He was a get-things-done administrator, said a retired judge, Betty Weinberg Ellerin, who has known him throughout his 38-year legal career. For nearly 20 years, Judge Lippman climbed the ladder in behind-the-scenes positions in the rough-and-tumble courts of Lower Manhattan that handle personal-injury suits, matrimonial cases and business battles. 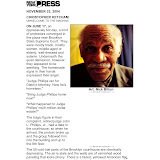 He was a court attorney, researching and writing rulings for judges and then supervising other lawyers. Then, from 1989 to 2007, he was first the deputy and later the chief administrator of all the state courts, running the vast system with a budget of more than $2 billion and thousands of employees. Justice Ellerin said that from the start, the young Mr. Lippman was more interested in getting to results he considered right than in technical rules. The way he often got there, she said, was by using a keen sense of what motivates people he works with. That politician’s method of operation is evident now at the Court of Appeals, where the power of the chief judge is a matter more of leadership and influence than of control. Justice Ellerin said he had a skill at winning people over, even when he refused to give them what they wanted. He makes them feel he understands what makes them tick, she said. “After he says ‘no,’ the person walks out thinking he is the greatest person in the world,” she said. For years, officials at the state’s Office of Court Administration used a term to describe Judge Lippman’s ability to persuade people to do things they did not want to do. The term was coined by the court system’s communications director, David Bookstaver: The officials would say they had been “Lippmanized.” Such maneuvering appears to have been on display at the court — in personal injury cases, for example. Conservatives often describe these as the measure of an out-of-control pro-plaintiffs legal system that grants huge awards for fraudulent suits. In a series of cases decided by the Court of Appeals, however, Judge Lippman has declared that he takes a different view. Early in his tenure, he wrote a 6-to-1 decision in favor of an injured patient against two doctors, a ruling that the dissenter, Judge Smith, called a “gross injustice” to the doctors. In early December, Judge Lippman went further, indicating that he planned some changes in injury cases. 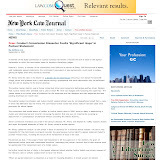 He “reluctantly” agreed with the dismissal of a damages suit against New York City by a public school teacher who was injured by a student, saying an earlier ruling limiting such suits should be changed. A couple of weeks later, he got all seven votes in the case of an injured worker, declaring that the court in the past had too narrowly construed a law originally intended to help workers win suits against employers. Legal commentators have noted the change from Judge Kaye’s court, which had voted 7 to 0 the opposite way in at least one case involving an injured worker. The protection of the law for injured workers, Judge Lippman wrote, had “been construed to be less wide than its text would indicate.” In the coded language of the courts, that was a hand grenade tossed at the old Court of Appeals, before the arrival of Chief Judge Lippman. Both Judge Lippman and Judge Kaye said in interviews that there was a clear difference in their approach to judicial decision-making. “I landed on the side of unanimity, where possible, without compromising principles,” Judge Kaye said. When there were disagreements, she said, she would often try to “fold something into the majority opinion” that would get more votes. Judge Lippman was appointed chief administrative judge by Judge Kaye in 1996 and was widely perceived to be her closest aide. But in the interview, he seemed to relish fostering a more divided court and having differences over cases aired publicly. “Sometimes you have a choice,” he said. “You can compromise and get a unified court, or sometimes it’s better to have a divided court because you have decisions that are not fuzzy. You have bolder decisions.” Some lawyers who follow the court say the tone does seem different under Judge Lippman, who grew up on the Lower East Side of Manhattan, from the tone under Judge Kaye, who grew up in the Catskill Mountains village of Monticello. 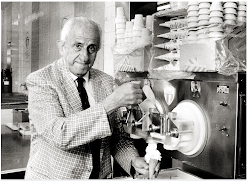 Judge Kaye worked for many years at New York’s prestigious corporate law firms, a different legal world from the one of the Centre Street courts where Judge Lippman was a young man. “There is more testiness than I have seen in the past,” said Oscar G. Chase, a law professor at New York University. Hint of Integrity from 2nd Circuit; Return to Good 'Ole Days? Sorry, Hiram. Looks like you may be out of a job. A federal judge rejected an attempt to temporarily block the expulsion of embattled lawmaker Hiram Monserrate. 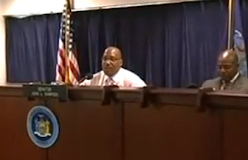 Colleagues voted to remove the Queens Democrat because of a misdemeanor assault conviction. Monserrate filed a civil rights lawsuit last week asking Judge William Pauley to reverse the lawmaker's removal and stop a March 16 special election to replace him. Monserrate and his attorneys have said the Senate didn't have the legal authority to kick him out. The ousted pol says the state Senate denied him due process and his constituents their right to representation. He's backed by the New York Civil Liberties Union. Judge Pauley let the motion stand. Monserrate's lawyers are expected to immediately appeal the ruling, reports The New York Times. Attorney General Andrew Cuomo commended the decision and said his office would continue to represent the Senate in the matter. "We are gratified that the Court has confirmed our position that the Senate had the authority to expel Mr. Monserrate," Cuomo said in a statement. "The time for changing the culture of Albany is long past due. Today's ruling is a step in that direction." A federal judge has declined to issue a preliminary injunction against the state Senate's expulsion of Hiram Monserrate. The Senate voted, 53-8 on Feb. 9 to oust Mr. Monserrate, who had been convicted of recklessly assaulting his girlfriend. Mr. Monserrate and several of his former constituents appealed, claiming that the former senator had been denied due process of law and the voters disenfranchised. However, Southern District Judge William H. Pauley III concluded after a hearing yesterday that he had no legal basis to block the Senate's action in a decision released today. Moreover, he held that a scheduled March 16 special election to select Mr. Monserrate's replacement would protect the voters of the 13th District in Queens "more effectively than judicial intervention." The Senate is scheduled to return to Albany Monday. Top Cop Kerik Sentenced to 4 years; Feds Offer "Get Out of Jail Card"
Disgraced former Police Commissioner Bernard Kerik has been sentenced to four years in prison. 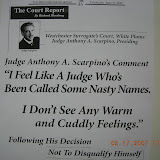 A judge made the announcement today in a White Plains court. Kerik pleaded guilty in November to eight felonies, including lying to the White House and filing false tax returns. He had been expected to get 27 to 33 months behind bars. Federal prosecutors want him sent directly to jail after the sentencing, saying he's more likely to flee once he knows for sure he's going to prison. Kerik's lawyers want him to remain free until it is decided which federal prison he will serve his time in. 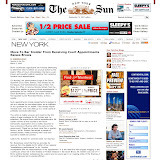 "Feds Closer to Kerik's Outing of Westchester and Manhattan DA Corruption"